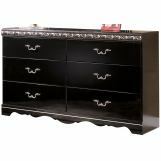 Alive with ornate detailing and a rich traditional beauty, the Constellations bedroom collection takes sophisticated style to the next level with a collection sure to enhance the beauty of any bedroom decor. 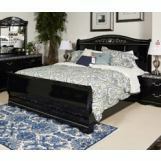 Create the bedroom of your dreams with the rich beauty of the Constellations bedroom collection. 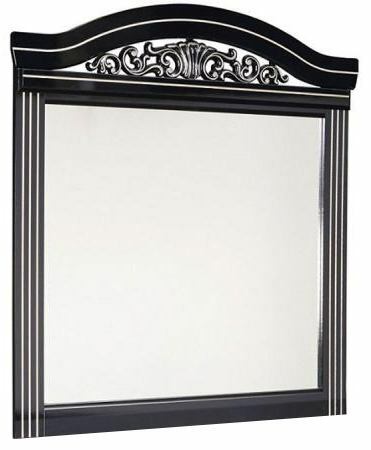 Add sophisticated traditional style to your bedroom with this hardwood framed mirror that showcases foiled moldings and detailed scroll/leaf appliquÃ©s tipped with a satin nickel finish. This mirror is the perfect companion piece to the matching six-drawer dresser and the crowning accent to complete your new exquisite bedroom. 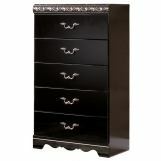 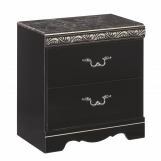 Capture the essence of grand traditional design with the glossy, black finish of this beautiful piece.